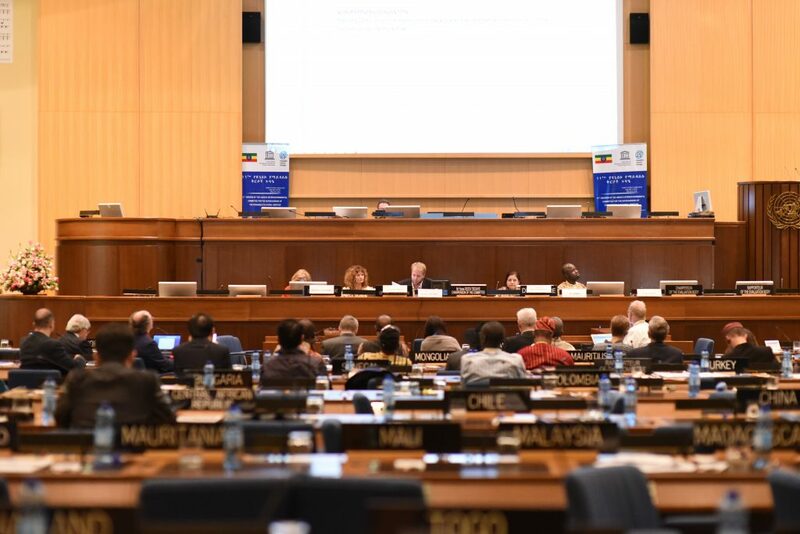 The proposal was developed in 2015 to work with a Steering Committee starting from 10COM (November 2015). The aim of the Steering Committee is to have a group of people from active accredited ICH NGOs willing to take the Forum forward in the coming years in the roles and functions as decided by the ICH NGOs taking part in the Forum’s activities and network worldwide. The ROLE of the steering committee is to represent the Forum and coordinate, encourage, facilitate and support the 9 roles and functions. Another role for this 1st temporary Steering Committee (2 years) consists in preparing representative and legitimate (s)election procedures by 2017 with regard to the future coordination of the Forum based on a 4 years cycle. for supporting communication of activities, information sharing, coaching. The idea of a working group on capacity building came up during discussions at the ICH NGO meetings during 10COM, of which the NGO the Norwegian Centre for Traditional Music and Dance, Marit Stranden, was suggested as secretary.2. An initial meeting took place during a lunch break with 7 interested NGOs signing up for the working group. There was a challenge of lack of French translation, which excluded one NGO. The Minutes was shared with the whole NGO network, inviting other interested NGOs to register.3. The working group should continue discussion in a skype meeting. This has not been carried out. The next meeting of the group is scheduled THURSDAY 1 December 1.30 – 2.30 p.m. at 11COM.4. As secretary of the group, requests have been received on capacity building from Namibia and Ghana.5. The NGO Tapis Plein, Jorijn Neyrinck, has volunteered to collaborate on coordinating the working group, including French translations in the working group. There are discussions going on between the Steering committee with the UNESCO secretariat following up the idea building regional capacity workshops with by UNESCO facilitators, which might start up as a global workshop before dividing into regional workshops. There are limitations on funding.